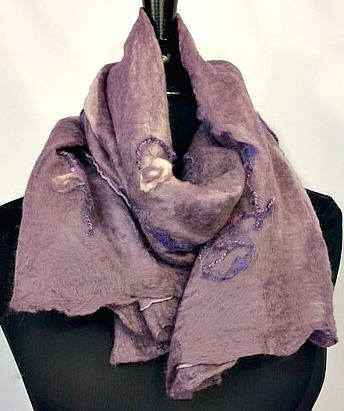 This beautiful silk chiffon scarf was inspired by a field of pale lavender flowers. 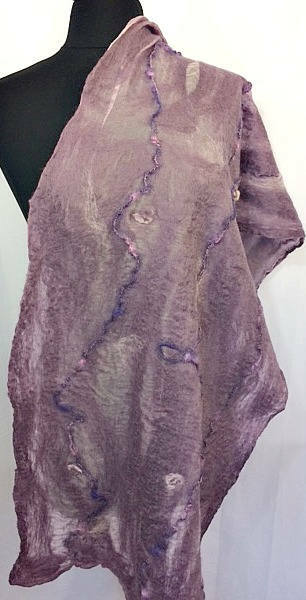 It would be a lovely wedding accessory, or could be worn to dress up a casual outfit, or to compliment a pretty spring dress. 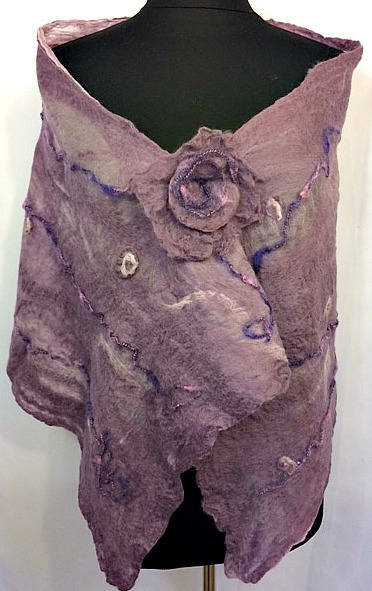 It was made through the process of wet felting with hand-dyed silk chiffon and pale grey-purple and pink merino fiber. 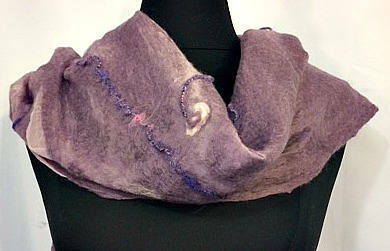 It was highlighted with pink and purple art yarn.